This autumn I facilitated another workshop at the library Ignasi Iglésias-Can Fabra in collaboration with the American Space Barcelona. The children created beautiful interactive stories about a magical world behind the books of the library. One group imagined a forest by night and a sky full of shooting stars. They designed an owl in Tinkercad and printed the model in 3D. They created an interactive sky with LEDs and Arduino. Finally, they augmented the model with music using conductive material and Makey Makey. Another group created a world of volcanos, lava and fire that was inhabited by a hippogriff. A third group created a dungeon of a castle in which a prisoner is guarded by two beasts. I would like to share with you some impressions from our workshop “Storytelling: illustration and technology”. 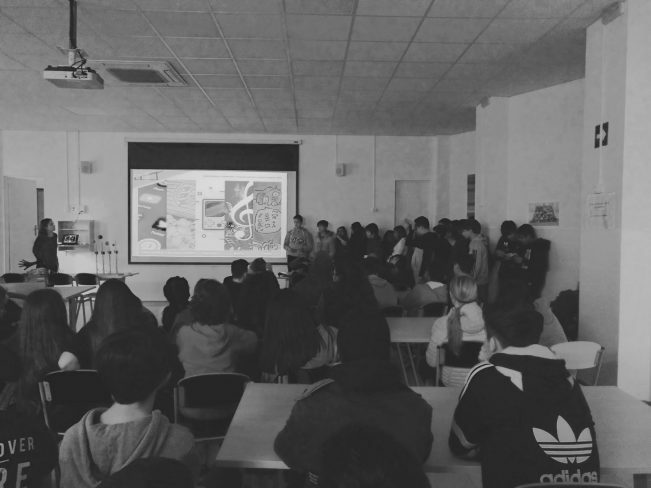 The event took place on 26th and 27th January 2018 during the opening event of the Library Montserrat Abelló in Les Corts (Barcelona). Laura Malinverni and Maria Santos collaborationed as facilitators in the workshop. 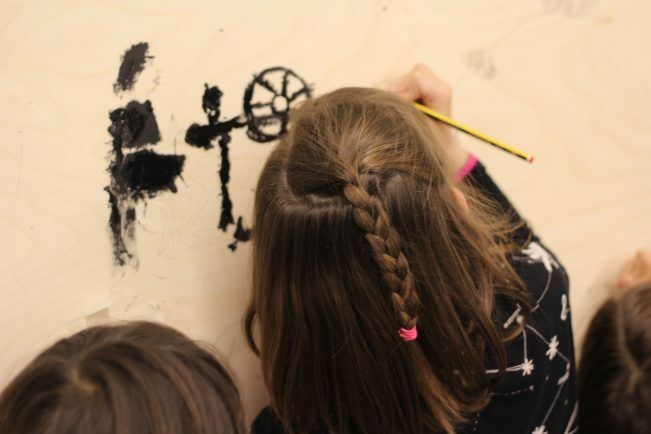 Children co-created with conductive paint and touch boards an interactive storytelling wall. The topic was the former textil factory in which the new library has been installed. Children invented stories around the factory imagining workers’ lives during this period.